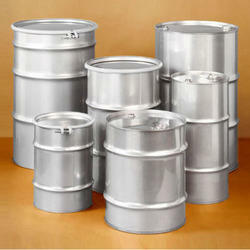 Due to their strength and reusability, Vimal Barrels Stainless Steel Barrels deliver safety and economy. Manufactured from SS-304 high quality stainless steel and are seamed. Same dimensions and appearance as our steel drums. We are a leader in offering a best quality of SS Barrel to our clients. These drums are fabricated by our skilled professionals by making use of premium grade steel obtained from the authorized vendors of the market. These are available at market leading prices. We manufacture Stainless Steel Close Head Barrels, which are called narrow mouth stainless steel drums available in 304 and 316 both quality. Along with 2" and 3/4" mouth openings. With firm commitment to quality, we bring forward for our clients a superior range of SS Grooved Barrel. In order to keep pace with never ending demands of the customers, our company is instrumental in presenting excellent quality assortment of Stainless Steel Barrel. We are recognized as the prominent manufacturer and supplier of a wide array of SS Barrel. Our offered SS Barrel is manufactured by the skilled professionals in line with set industry standards using the qualitative stainless steel and advanced technology. It is available in various sizes as per the client’s requirements. 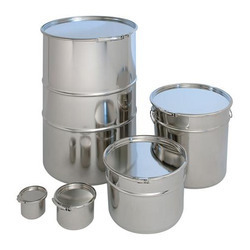 Our company holds vast experience in this domain and is involved in offering Stainless Steel Drum.